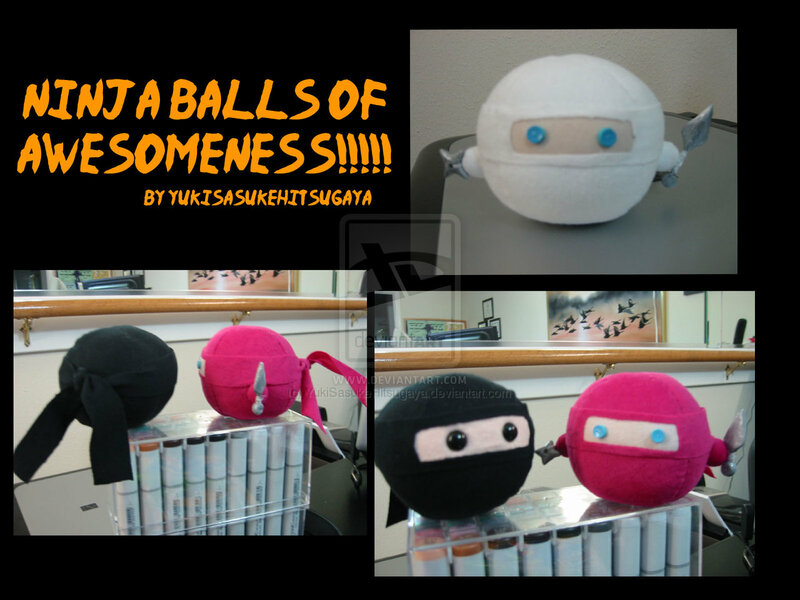 Become Addicted To BEING AWESOME! 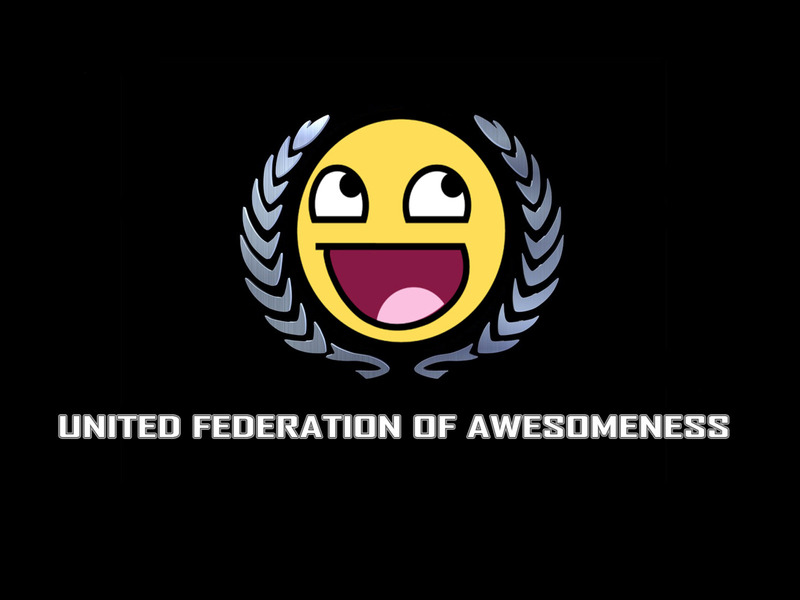 Yes that is my GOAL… I NEED to be addicted to being awesome. Right now my addictions are WANTING bad foods. 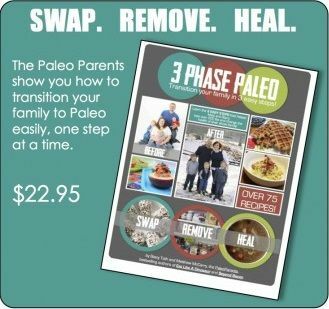 It doesn’t mean I always eat bad foods, but I WANT them so to make up for it I find Paleo-ish sweeties and it’s not helping me. I told Coach I was doing the 21-Day Sugar Detox and he about looked at me like I had 3 heads. He asked/stated “Shouldn’t you already pretty much have cut out sugar?” And I say well ya but I still bake with the now KNOWN LIQUID DEATH NECTAR – AGAVE! And Ernie thinks I eat too much fruit. And I’ve been having too many “cheat bites”. I also let everyone become aware of what a damn headcase I am. I’m pretty sure they already know it or assumed it but now they KNOW for certain. SOOOO I will do the detox, see if my cravings for the bad stuff goes away. We shall see. So back to the point (maybe?) Coach tells me I should just be addicted to being awesome! Hahahha! That was good and then I thought SURE why not? 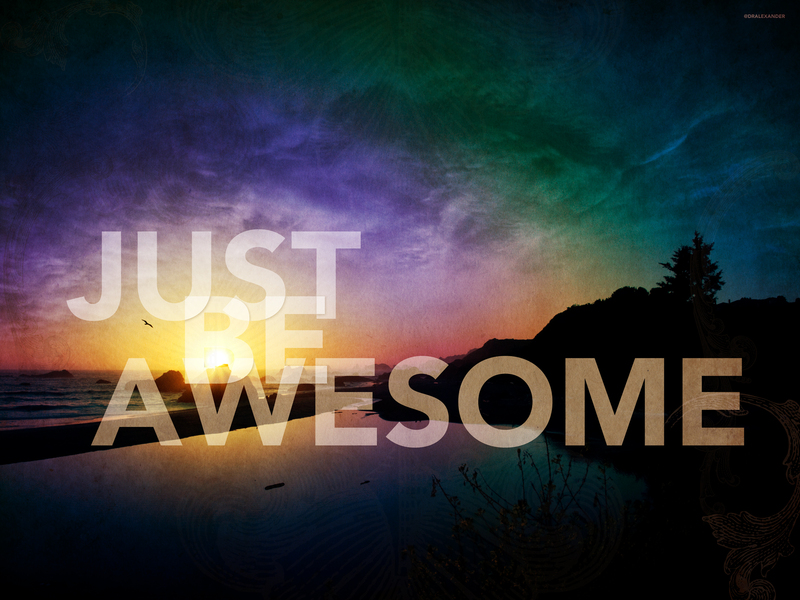 I will become addicted to AWESOMENESS and not just plain ol awesome but BEING AWESOME! Now onto talking about how AWESOME I am at slacking! Jokes. Sort of. I didn’t blog yesterday because I took the day off. Not from the BOOM BOX but from work, cleaning house, cooking, blogging, etc. It felt good. The kids noted that I seemed to be in a great mood! And I was indeed. I could totally do this whole stay at home mom gig. Of course I would be more productive than I was yesterday but it was good to be able to help the kids get ready without us going nutso! But I digress. I’m supposed to be recapping my WOD for yesterday and today and not going on about how I need to be a stay at home mom! I definitely will NEED these to go towards my addiction! Yesterday involved running…wooooo running. You all know how I feel about this running thing. It was a combo of 400m, 50 diamond situps, 400m, 50 diamond situps and 400m. For time. I got it in right at 10 minutes. Not bad. Unfortunately for me the whole time I ran I kept thinking “How do people actually ENJOY this?” That’s bad right. I have no joy in running. And bittersweet is that my oldest son Jonas is catching me! He finished the same workout later in the day at 10:04! Oh to be young! I have to step up my game. 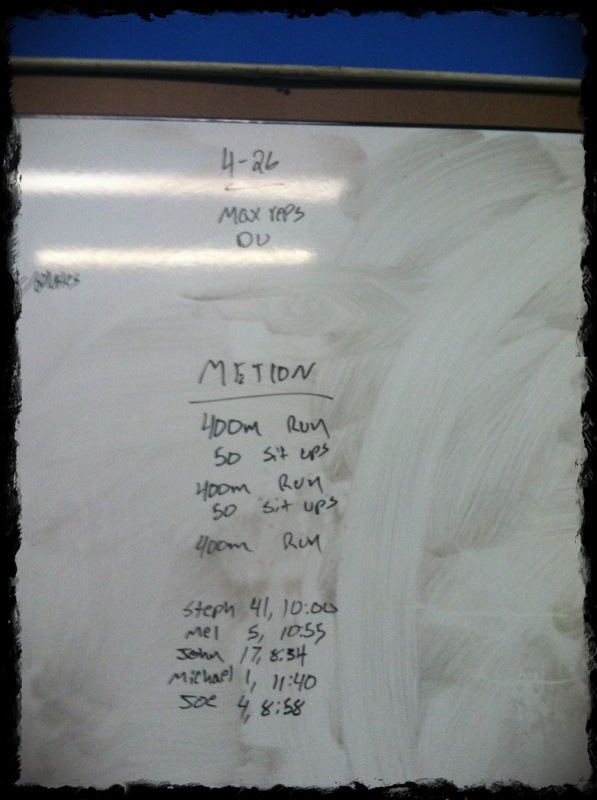 4/27/12 WOD ... don't you love the dirty whiteboard. It's more of a GRAYboard! 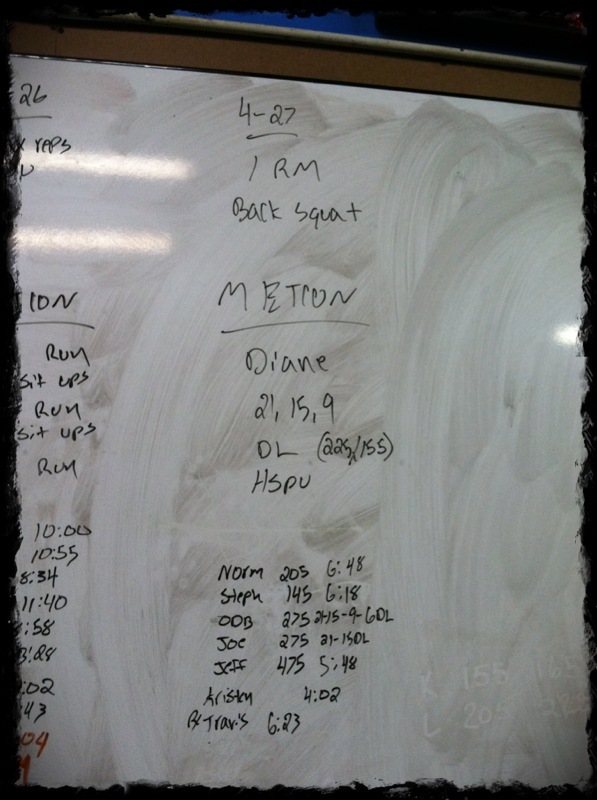 This morning was 1 RM for Back Squat, which I so happened to PR last week. This week though I stayed at that weight of 145lbs. I tried 150 but I wasn’t getting that weight up today. 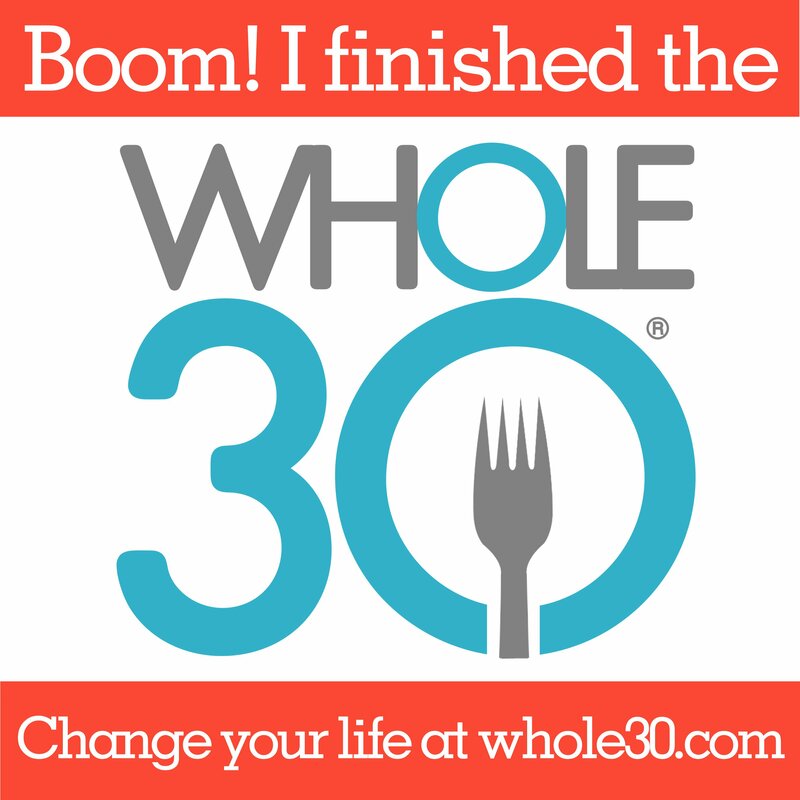 Another day and hopefully more than a 5lb PR! The MetCon was DIANE! OH DIANE! Diane consists of Dead Lifts and HSPUs (Handstand Push Ups) for 21, 15, 9. For y’all new to CrossFit or unaware of CrossFit that means do 21 dead lifts, 21 hspus, 15 dead lifts, 15 hspus, 9 dead lifts and 9 hspus. YAY FUN! Right?!? Hello? Who’s with me here? I didn’t do RX’d due to the fact we were short on time so the goal was to finish in 7 minutes. My weight was lighter than the RXd 155lbs but I can’t remember for the life of me what weight I did. And for the HSPUs I had a 45lb plate with an abmat on it. I tried with the 35lb plate first and managed to get a few in but Coach said use the 45lb plate which was greatness because my shoulders burned out FAST! So there you have it to end this week! Baseball filled Saturday. Ernie is at the CrossFit Games Regionals in San Antonio. Hopefully I get good reports, pics, stories etc. Have a fun filled weekend! Find your AWESOMENESS and get addicted!